I love Berkeley Bowl. Â Not because they have great prices, but because they have random crap like this. 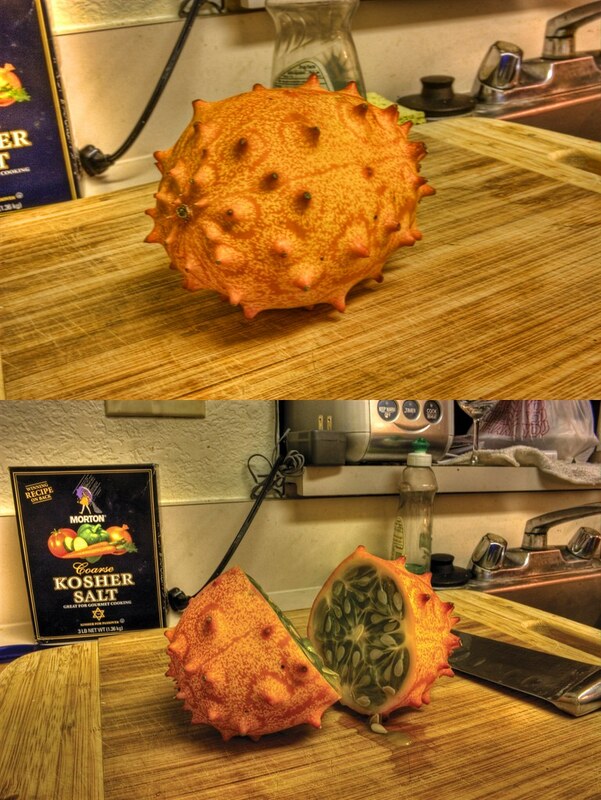 it’s called Kiwano. Â Google it. Â It’s everywhere. I’m not sure if it was riped, but tasted like bitter banana. Â Those seeds do not help the taste either. Â $5 well spent? Â I don’t think so.